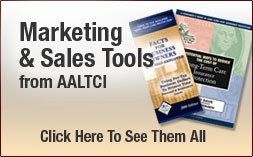 Many additional marketing and sales tools are available exclusively to Association members. Click here to see all the benefits of belonging to AALTCI. Membership is $98 for 1-year. Take Advantage Of An Incredible Offer. Pay just $9 to watch 5 sessions recorded at the 2014 National Long-Term Care Insurance Sales Summit. View the speakers (filmed) and their presentations. Nearly 5 hours of the latest sales training from top professionals. Click here to get access now. Watch Our New 4-Minute Video. See major benefits for members plus marketing tools you can use. Click here - to view the video now. 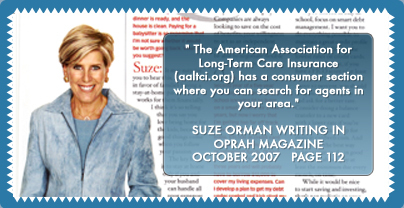 Marketing tools provided compliments of the American Association for Long-Term Care Insurance, part of our on-going commitment to educate Americans and support the work of insurance and financial professionals. Awareness Month is a grassroots effort and some insurers provide material you can use. Association members can access many marketing tools available as part of the Members Only online section. 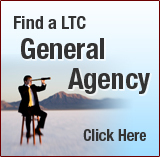 Click here to watch a FREE Video recorded at the 2014 LTC Sales Summit Discover a great way to present LTC insurance. You may print copies or download directly. Personalize and follow rules that apply to your state or insurer.